Large sedans like the 2017 Hyundai Azera and Toyota Avalon are smooth riding and spacious - basically, they're all-around luxurious. But which of these models is speaking your language? Check out our comparison guide to learn more about how the Azera and Avalon stack up. If you're shopping for smooth ride comfort and cavernous passenger space, look no further than the Azera. In addition to generous head and leg room for all, this full-size sedan is also heavy on the style, including lots of upscale trim. You get the luxury treatment wherever you go. In the Toyota Avalon, there's also plenty of room for a family of five. It, too, features high-quality cabin materials for an upscale vibe. However, the ride isn't as smooth as one would normally expect from a full-size sedan; it can feel a little firm for some drivers. The 2017 Hyundai Azera comes standard with an 8-inch touchscreen interface, making it easy to find the infotainment app you need. All models also get Apple CarPlay and Android Auto smartphone app integration, a boon for drivers who are easily distracted by their phones. This technology displays smartphone apps like Phone and Messages on the central touchscreen, so you don't have to look down at your phone while driving. You can even use your phone's voice controls to have the system read your texts aloud. The Avalon's 7-inch touchscreen is also quick to respond to your touch. Similarly, it includes voice controls, so you can alter settings without taking your hands off the wheel. While you can't get complete smartphone integration with Apple CarPlay and Android Auto, the Avalon does offer a Qi wireless smartphone charging pad for a little extra convenience. In crash tests, the Insurance Institute for Highway Safety gave the Azera its top score of "Good." If that's not enough to put your mind totally at ease, check out the Blue Link emergency communications system, which includes features like automatic collision notification. Then there are the driver aids, like blind-spot monitoring, that use radar to actively help you avoid danger. 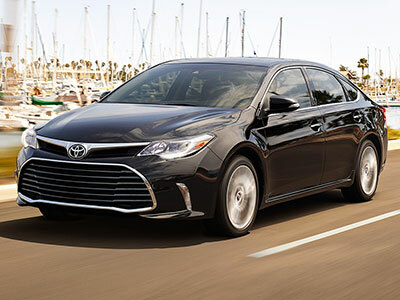 This year, the Toyota Avalon comes standard with the Safety Sense package. That means that, like the Azera, it uses radar to warn you about oncoming collisions and even automatically applies the brakes to mitigate damages. However, you do have to pay extra for blind-spot monitoring, unlike in the Azera. For the thriftiest ride, the Toyota Avalon has the edge. It earns 21 city/30 highway mpg. In addition, its well-tuned suspension makes for a sporty ride around town. 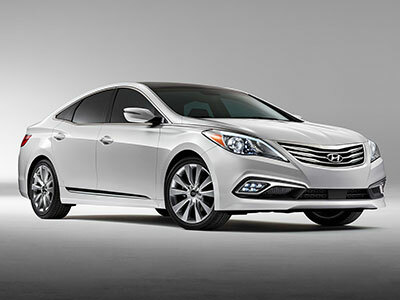 In terms of fuel economy, the 2017 Hyundai Azera follows close behind, earning up to 20/28 mpg. If you prefer a full-size sedan that's tuned for comfort, however, the Azera will be more up your alley. The Avalon offers its own brand of style and comfort, but the 2017 Hyundai Azera leaves the competition in the dust. Inside, there's more than enough room for a comfortable family road trip with creature comforts, like plush seating and handsome trim, that give your daily grind a luxurious vibe. Add tech features and safety options and the Azera is all you can imagine in a full-size sedan.